The HS-200M Brecknell scale is a mechanical device for use where either weight or height measurements are necessary. The scale provides accurate weight or height measurements on easy to read linear beams in bold marking. It has a large weighing range and can measure height from 60 cm to 210 cm x 0.1 cm (2′ to 7′ x 0.125″). 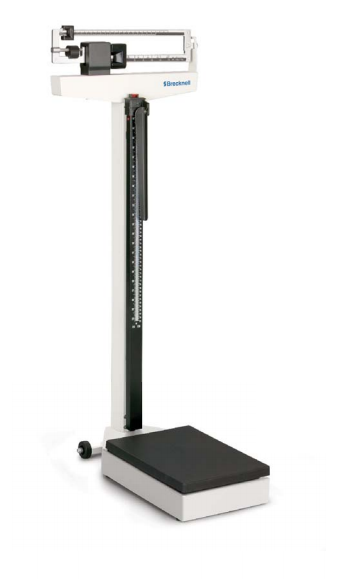 Constructed of steel with a durable white finish, this scale will provide years of service in normal applications and is the preferred choice of physician offices. Have additional questions about our Brecknell scales or other products? Please contact us today to speak with our expert team.